How could it have been almost 2 years since I’ve shared a chocolate chip cookie recipe here with all of you. A couple of years back I shared a browned butter and molasses chocolate chip cookie recipe. It was the cookie of the summer. It was a recipe that was baked over and over again. And then it stopped. The chocolate chip cookie madness came to a crashing halt and mysteriously, I wasn’t asked to bake chocolate chip cookies again for a long time. My mom is usually the one that gets the request. They’re her baking thing and I let her impress us with her perfect cookies. Recently the kids have been asking them to be packed in their lunch as a snack. Sure, they have rows and rows of prepackaged cookies at the grocery store. They are convenient but there is no comparison to making your own cookies. When you see how easy it is to make your own cookies, it will be hard for you to ever buy another pack at the store. Takes just minutes to whip up and a really short time to bake. They could quite possibly be the perfect answer to those chocolate cravings that plague you occasionally. Doesn’t everyone crave a great chocolate chip cookie sometimes? I ran out of chocolate chips and used chocolate disks (it’s much prettier to call them “fèves”like the French do). Since I had two different chips, some of the cookies formed little faces…like the one below in this photo. There is even a little dot making the nose. A little freaky, but we ate that one too! 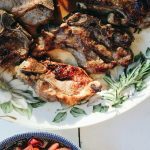 In researching different recipes to try, I kept coming across an old recipe on Smitten Kitchen. I sometimes make the NY Times very famous recipe. That recipe happens to also be a great one. I really liked the Smitten recipe and changed it just a little bit. I used bread flour instead of all-purpose and used a little less sugar and less chips. I know the best part of their recipe is the overabundance of chips. For my taste, one cup of chips was plenty. I omitted the nuts. For myself, I would’ve kept them in. I’ll just have to bake another batch just for me with the nuts. There was definitely a good portion of chocolate in each and every bite. The texture is soft and chewy. There are those that only like soft cookies and those die-hard fans of flat and crunchy cookies. I could go in either direction. But at this point in my baking adventures, these are hands down, my favorite cookies. 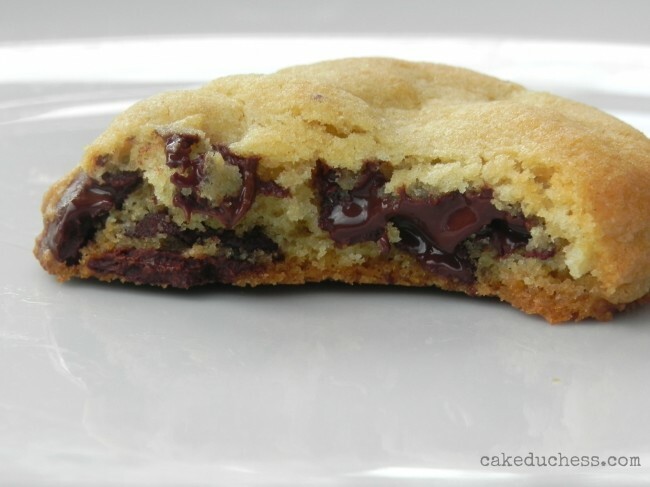 A soft and chewy chocolate chip cookie made with bread flour. Adjust the oven rack to the top third of the oven and preheat to 300F. Line three baking sheets with parchment paper. With the paddle attachment attached, beat the sugars and butters together until smooth. Beat in the egg, vanilla, baking powder and baking soda. In a small bowl, whisk together the flour and salt. On low speed, mix the flour into the batter in 3 portions. Stop the mixer and scrape the sides of the bowl with a spatula after every addition of the flour. On low speed, mix in the chocolate chips. Scoop the cookie dough into 2-tablespoon balls and place 8 balls, spaced 4 inches apart, on each of the baking sheets. Bake for 10-15 minutes or until golden brown, checking the cookies after 10 minutes. Rotate the baking sheet for even browning. Cool completely and store in an airtight container. I haven't met a chocolate chip cookie that I didn't like (except for packaged ones). 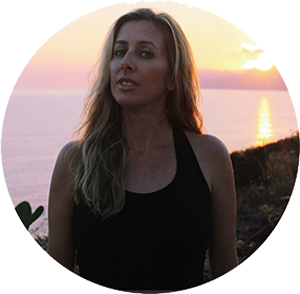 Yours look wonderful Lora, love the "personalities"! Who doesn't love chocolate cookies!! These look divine, Lora. Saving this recipe, looks like a classic! Any left overs for my breakfast? 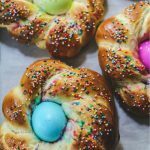 These look amazing, Lora! 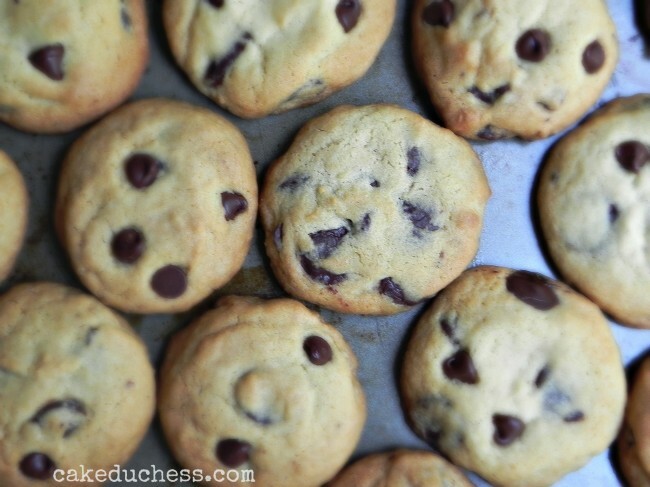 I love chocolate chip cookies, I could go for a dozen of these right now!! 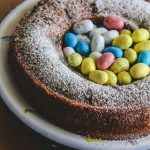 I would have never thought to use bread flour inside of all-purpose and I like that you cut back on the sugar and the chocolate. The cookies turned out great as in evident in your wonderful photos. Hi, Lora. I, too, make the famour NYT choco chip cookie recipe. They actually have two – David Leite's and Jacques Torres'. 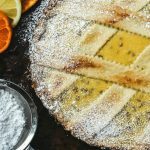 Jacques Torres' is my default recipe – it's just that good and always reliable! Next time, I will try your / Smitten Kitchen's recipe to compare! I can never have enough chocolate chip cookie recipes! These look perfect! 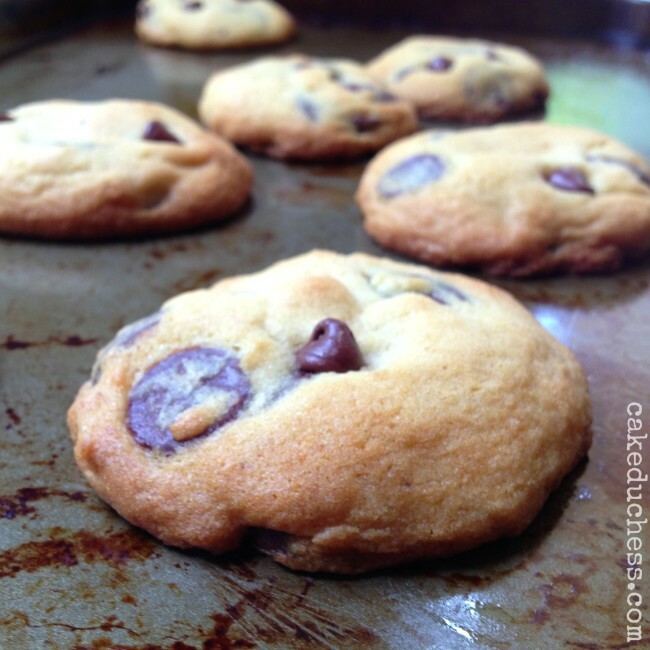 LOVE a great chocolate chip recipe and yours is just that! I bet your house smelled AMAZING and these did not last long. Smile. 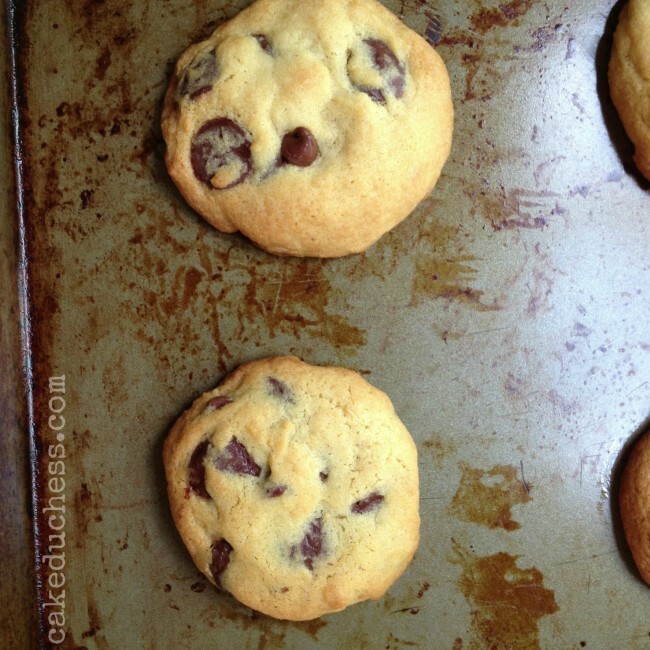 Love a classic chocolate chip cookie – funny we both make them in the same week! I think I must have been baking your share of chocolate chip cookies…I have to keep trying new recipes to keep the family (and blog) happy…but they are happy with the Nestles tollhouse recipe that I have had memorized for decades :/ I need to make yours next…they look fantastic. My chocolate chip cookie baking madness cames to a screeching halt when the last of my three kids moved out of the house!!!! Then came the grand kids and more cookie baking madness, don't you just love it? 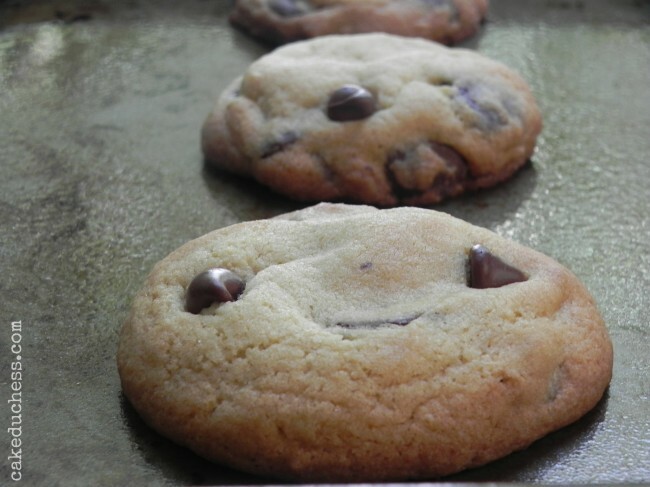 Your chocolate chip cookies look absolutely yummy delicious! Oh, interesting! I thought for sure it'd just be another repost of the NYT recipe. Which I love. And deserves all the reposts. 🙂 But I'm happy to see a different version which I haven't tried yet so thanks for sharing!